Asheville, NC Senior Move Management has announced Closet Designer & Professional Organizer Services in and around the city. The company points to designers skill & extensive background in storage design & organization bringing simplicity & calm to home and office. Asheville, NC based Senior Move Management full-service moving company announced expanded business growth and availability of new services closet design & organization solutions in the city and surrounding areas. The company designer experts focus on creating beautiful and functional home and work closets and storage environments and assisting with professional organizing in reducing unused and excess no longer serving the client. 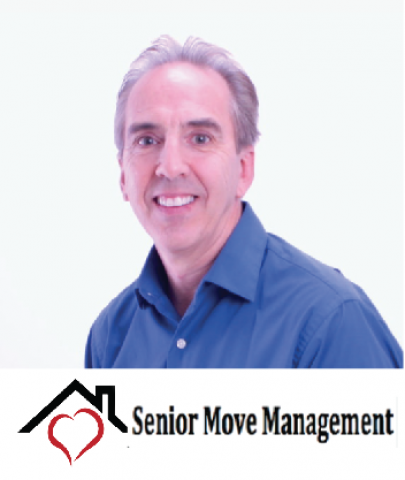 More information about Senior Move Management can be found at https://www.seniormovemanagement.net/. Popular designer and professional organization services include clutter elimination, organizing kitchens and pantries, garage storage areas, attics, basements, closets, mudroom, laundry area, tailored to specific needs and desires. An increased emphasis on best utilization of limited space with ease of accessibility is a close second. Building an adjustable children’s closet that will grow with the child. Rods can be lowered or raised to adjust to the child’s adjusting clothing lengths. Senior’s and disabled may need easy access to their items and require lowered heights of rods and even automated rods that come down for selection and back up for storage. New product designs and ideas come to market regularly. The company emphasizes staying current with the market changes and new developments to provide premier consulting services and a tailored fit client’s desires and needs. The company focuses on delivering outstanding products and services that bring delight and pleasure to clients. Also part of the process in delivering exceptional customer service is creating an area with the ability to expand or change. It means including long-term uses are considered and planned for to ensure maximum support of the client’s anticipated future needs. Senior Move Management designs custom storage solutions for Asheville homes and businesses. According to a spokesperson, the company serves the greater Western North Carolina area and consistently receives top recommendations from the areas retirement facilities for services delivered to them and to their residents. The introduction of this new service as a stand-alone is to assist Asheville residents with smaller yet significant projects to enhance their lives and often their home value. Senior Move Management is a local business based in Asheville, North Carolina since 2004 and has served thousands of people throughout those years. Known for helping seniors and the elderly transition from the family home to smaller residences like a smaller home or retirement facility. The company is recognized for moving folks more than once and sometimes again and again. Superior personalized care provided by owners and staff led to excellent working relationships with the retirement facilities in Western North Carolina. Company experts have earned a reputation of providing exceptional personalized service. Further information about Senior Move Management and the new service of closet design & organization is available by calling (828) 237-4807 and by visiting the URL above.